Our books are currently open for all applicants, but we are specifically interested in Actors/Actresses with visual disabilities. This may include wheelchair/frame users, Amputees, Down Syndrome, Facial Impairments, Deafness, Cerebal Palsy etc. Please note, we are not an extras agency. 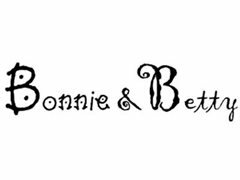 Bonnie and Betty are one of the largest, leading UK Model & Talent Agency's in the UK, representing babies, children, teenagers, adults and families for a range of assignments including photographic, commercial, TV, film and stage work, with both North and South divisions in London and Manchester. Our adult division specialises in Commercials, as well as representing a select number of actors and actresses for TV, Film, Voiceover & Stage assignments. Please note we do not represent adults for modelling work. Our adult division caters for 16yrs+ (must have completed year 11). Our books generally only open 1-2 times per year for a short period, so please be quick to avoid disappointment. We only represent Spotlight registered artistes, so you must already be a member of Spotlight OR if you are under 25yrs, willing to sign up to Spotlight as a Young Performer if accepted (Spotlight fees apply). It should be noted that all castings and assignments generally take place during weekdays, therefore if you work full time and are unable to attend castings and jobs at short notice, this is not suitable. We take on all over England, however, you must be willing to travel and be aware that most of our jobs take place either in London for the South and Manchester for the North. Many shoots involve very early starts and long days and can be very short notice. All candidates should be flexible, hard working and professionally minded. Please do not waste yours or the agency's time applying to join if you are not serious and cannot commit. The agency cannot tolerate those that are not punctual, reliable and honest.